These laptops are crafted from the strongest aerospace-grade aluminum and have passed the demanding MIL-STD-810G military standard for reliability and durability. These laptops feature an “ErgoLift” hinge that automatically tilts the keyboard up at the rear when the laptops are open, to create a comfortable typing angle. This also creates an air gap at the bottom of the laptop that helps in dissipating heat and improves audio by acting as an echo chamber. The new ZenBooks feature displays that have ultra-narrow frame bezels which is called “NanoEdge” displays. These narrow display frame bezels allow displays to be fitted into a smaller laptop body and are the secret behind the compact sizes of the laptops. The new ZenBooks still have a webcam fitted into the top edge of their narrow display frame bezels. This ultra-thin webcam features 3D IR capability which allows users to unlock their laptops with their face through Windows’ Hello login system, even in low-light environments. The ZenBook series are powered by the latest 8th Generation Intel Core i7 quad-core CPU, up to NVidia GeForce GTX 1050 Max-Q graphics, 16GB RAM, ultrafast PCIe SSDs and the fastest available gigabit-class Wi-Fi. All models are equipped with PCIe SSDs and up to 16GB of RAM. 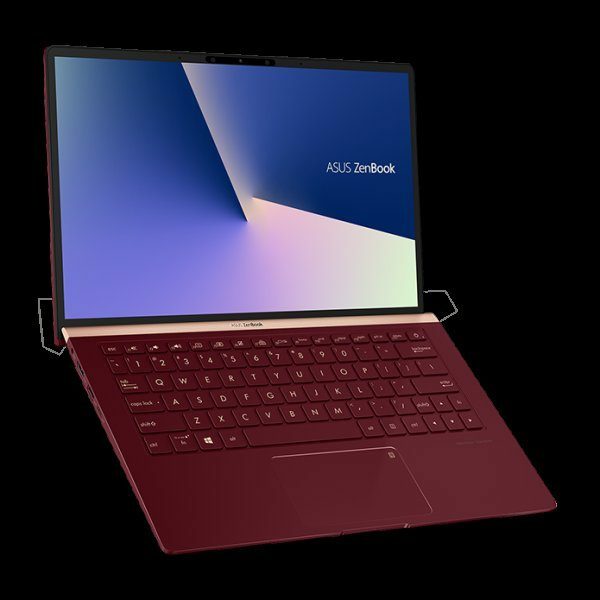 All new ZenBook models feature gigabit-class Wi-Fi and Asus Wi-Fi Master technology, for ultrafast downloads and smooth streaming with greater range and more stable network connections than ever before. Additionally, the latest Bluetooth 5.0 lets users access all the benefits of the latest low-power peripherals and accessories.